Long haul flights can dehydrate your skin and make you feel less than flawless. If you want to feel and look your best during and after a long haul flight, here are the tips you should follow. Always shower – Before you pile on the body lotion, ensure that you take a shower before you fly. If you must apply some makeup before you leave, look at applying tinted moisture and some blush before you head out the door. Cleansing – Hand sanitizer is a must as most airports and planes carry a lot of germs. You can also use one of your facial wipes to clean your seat handles and tray before you get ready for your flight. If you are planning on taking a nap, make sure you cleanse your face before you take a snooze. Moisturizing – You will need a good quality face cream, lip balm, and hand cream to apply during your flight. If you have acne, it is best to look at a brand of moisturizer that is specially created to reduce acne and redness. Make sure you apply your lip balm and hand cream throughout the flight. Extra moisturizing – If your skin gets dry during a flight, pack a face sheet mask or a facial mist to hydrate and freshen your skin. Makeup – To look your best when you get off the plane, look at applying your make up 45 minutes before landing. Look at a look that matches who you have to meet and where you are going after you leave the airport. Healthy skin is an asset and one that every women tries to attain. However, due to bad habits, work, pollutants and an unhealthy diet, women may struggle to maintain a healthy complexion. Here are some quick tips that can help to make your skin look healthier. Minimal makeup – Wearing heavy makeup every day can cause your skin to discolor, get clogged or and cause acne. Leave heavy foundation for special events, and opt to go bare with just blush and mascara. Although this may seem daunting at first, after about a week or two, you will find that your skin looks a lot healthier because your skin has a chance to breathe. 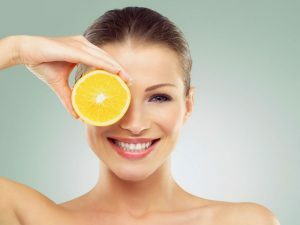 Face cleansing – Cleansing your skin after a long workday, a night out or after the gym, is a must to remove makeup, dirt, and oil from your skin. Sunscreen – Sun rays are harmful and can cause premature aging and skin cancer. Look at minimizing your sun exposure and wear a sunscreen with a moderate SPF rating every day. Exfoliate your face – Exfoliating your face twice a week will help to remove dead skin cells and unclog pores. Look at investing in an exfoliant that matches your skin type or make a homemade one with sugar, honey, and coconut oil. Moisturize – The level of moisturizing you will need will depend on your skin type and how hydrated you are on a daily basis. Start by increasing your water intake for two weeks and then consider the texture of skin before investing in a moisturizer. 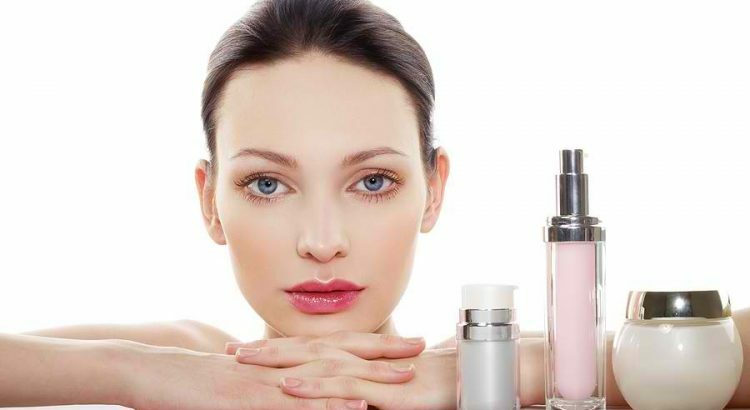 You may think that you have to use a long list of beauty products to look good. However, this is not the case, and here are some simple tips to make your skin care routine a lot easier and effective. Use your cleanser like a pro – When you cleanse your skin, concentrate your cleansing where you have the most pores. This will help to clean dirt and oil more effectively, penetrating your skin and removing dirt from blocked pores. Apply face serum while your skin is damp – Washing your face and then applying your serum is the best way to lock in moisture. Exfoliate a few times a week – It is a good idea to exfoliate your face as dead skin cells get stuck on the surface of the skin, this will make your skin look dull and dry. Learn to layer – You can layer your serums and sunscreen to get the maximum glow. Serums are great for anti‑aging, hyperpigmentation, antioxidants, hydration and repair. So if your serum doesn’t have all these properties, invest in a few and layer them. Use the dot method to apply sunscreen – Avoid applying sunscreen on your palm and then applying it on your face. Instead, dot sunscreen on your face and then lightly massage it in. This will ensure that most of your sunscreen is on your face and not left on your palm. Change up your a.m. and p.m. skincare routines – Your day and night skin care routines should be different. In the night you should be using products to repair, while in the morning you should concentrate on protection.